If you’re such a motivated self-starter, why are you being so passive in your approach to getting a job? 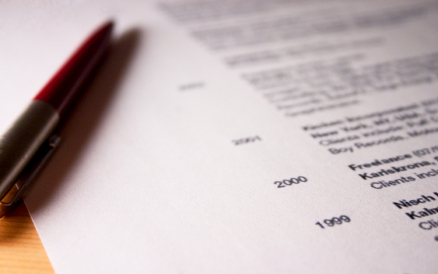 Anyone can write a cover letter and send their resume. I could wake up naked and hungover on a desert island without internet access and I could STILL get a cover letter pumped out before lunch. They take no effort, and usually just prove the opposite of the very thing that you want our cover letter to show; that you can get stuff done. That same is true of all of our personal goals, whether they be getting a job, starting a business, or finding a girlfriend. Most people, given the opportunity, will take the path of least resistance. The problem is that path has the least resistance because it has the least likelihood of helping you. In the previous posts in the Road to Success Series, (Part 1, Part 2, Part 3) you started by recognizing our fears, then breaking down our goals into discreet objectives, and finally researching the hell out of your goal. Now, it’s time to act! This is the part where most people throw all of their previous effort out the window because real work, that causes real results, takes effort. As I mentioned in a previous article, it takes no effort to make a Facebook or Twitter account for a business you’ve started. It also takes no effort to send a cover letter and resume. I can guarantee you failure and disappointment if you expect either of these to return any results. “But it can’t hurt, so why not do it,” I hear you say. Well, ask yourself, if you used the time it took you to lazily throw together a Facebook page or write up a fairly stock cover letter for a real, measurable goal, how much closer to your end result would you be? It’s not that it doesn’t do harm, but it acts as a distraction, as busy work preventing you from getting closer to your goal. So knock it off! I recently saw a job posting for a social deals website, looking for new sales people. How much do you want to bet that just about every single person is simply sending in a resume and a cover letter? I’d say 99.99% with a margin of error of .01%. How can I be sure? Because their job site has two, and only two, fields for you to type in. One for your resume and one for your cover letter. If you’re looking to succeed, and the vast majority of people don’t succeed, what does that tell you about the usefulness of their methodology? Imagine how much you would set yourself apart if you included the resume (HR departments get all hot and bothered by a good CV) but in the cover letter field you did something a little different. Maybe you’ve got a friend who’s good with a camera. Have him film a visual cover letter for you and post it to a video sharing site. If you’ve got some money or a lot of well-connected make it go viral! At the very least it will demonstrate that you understand social media. Or, since it’s a sales job, what if you actually went out and sold, speculatively, to potential clients. Get them to sign agreements saying that “I’d love to feature my company on this social website,” then scan them and post them online, using the cover letter field to post a link to the page. Can you imagine the impact on a potential employer of seeing 5-10 companies you’ve sold to before you even had the job?! Hell, they’d probably be impressed with just one potential sale. It doesn’t mean your idea needs to be perfect, you just need to pick a methodology to get to your goal and do it in a specific way. If it doesn’t work, you’re no worse off, and you can try something new, but at the very least, it should give you a leg up on everyone else out there. Can you guys think of anything you’ve done in the past where, looking back now, you think you took the easy way out? What could you have done differently? Just wish to say your article is as amazing. The clearness in your post is simply nice and i could assume you’re an expert on this subject. Well with your permission let me to grab your RSS feed to keep updated with forthcoming post. Thanks a million and please keep up the gratifying work. It¡¦s really a great and useful piece of info. I¡¦m happy that you just shared this useful info with us. Please stay us informed like this. Thank you for sharing. I do consider all the ideas you’ve presented to your post. They are very convincing and can certainly work. Still, the posts are very quick for newbies. May just you please prolong them a little from next time? Thanks for the post. Hello there! This blog post could not be written any better! Going through this post reminds me of my previous roommate! He continually kept preaching about this. I most certainly will send this information to him. Pretty sure he will have a great read. Thank you for sharing!